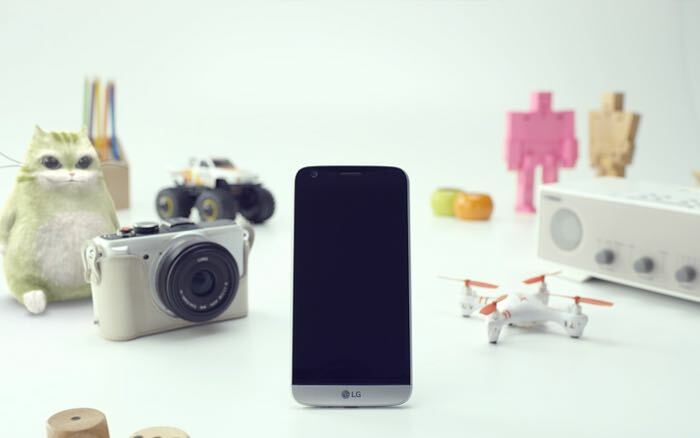 Last month, LG introduced the extremely impressive LG G5 at the Mobile World Congress 2016 in Barcelona. The handset also received a bunch of awards at the big event. If you’re based in Canada and want to get your hands on the new LG G5, it’s set to hit retail in the country on April 8th on Canadian carriers. There’s no word about the pricing of the handset and its accessories, but the company announced that it will available at Rogers, Bell, Telus, Fido, MTS, SaskTel, Eastlink, Videotron and Wind Mobile. Rogers and Fido are also going to offer bundled options for the handset such as a free LG’s Cam Plus camera grip with two-year activation of the handset. LG G5 comes with a modular design and features a 5.3-inch display sporting a resolution of 2560 by 1440 pixels and is powered by a Qualcomm Snapdragon 820 processor paired with 4GB of RAM, 32GB of internal storage, and a microSD card slot for expansion. Other features includes a 16MP main camera, 8MP front-facing camera, and ships with Android 6.0 Marshmallow pre-installed out of the box. Anyone interested in picking up the LG G5 next month in Canada? Sound off in the comments below.